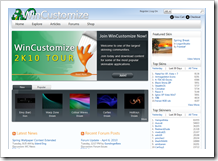 I can’t believe it’s been 9 years since WinCustomize.com first launched. 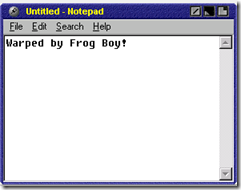 Today I’m taking a look at the 4th iteration of WinCustomize during that time. The iterations have tended to reflect the particular skinning age they were developed in. Let’s look at them. This was the age of “Skinz”. It was literally a cottage-sized community. Mian. Toasty. Shoggot. Doreen. These were just a few of the names from back then. Skinning was such a niche back then that there were only a handful of skinners. The tech was primitive, buggy and often unusable. But it was fun. WinCustomize launched at the first age was ending. The original skinz.org went down along with other skinning sites as the “dot com bomb” went off taking out the means to pay for these sites. Software developer Stardock decided to create a site and hand it over to the community. That was the original WinCustomize concept launched at the end of March 2001. 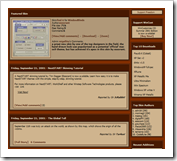 The first WinCustomize was designed as a quick way to get to a ton of different skinning libraries and had a major focus on the skinners themselves. 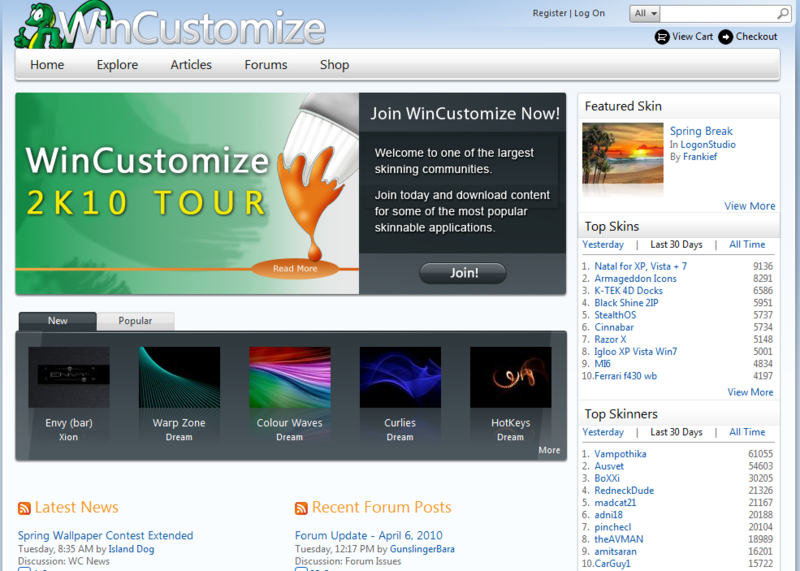 When you came to WinCustomize.com, the home page focused a great deal on the skinners themselves. The Second age was the era of intense competition. Some might call it the golden age of skinning. Skinning had gotten popular and there were lots of people making skinnable programs. We had widget wars (DesktopX vs. Konfabulator vs. Samurize vs. etc.). We had skinning wars (WindowBlinds vs. Msstyles). Media player skinning wars (Winamp vs Media Player). This was the period of the GUI Olympics where the popular skinning sites (back when there were several) got together and competed in making skins of various types. The Second age was the noontide of diversity in skinning. The second WinCustomize focused much more on the world of skinning itself rather than on the people who made it. It still had quick access to all the libraries but the focus now was on the skins themselves. Skinning had gotten mainstream. It also came to an abrupt end on January 30, 2007. The the age could be described as the twilight of skinning. I’m just calling a spade a spade. Windows Vista had begun to make skinning seem quaint and retro. Who are these weirdos taking a perfectly clean, nice OS and adding a bunch of crap to it? The number of actively developed apps started to drop quickly. By the end of it, Stardock was the only company with full time developers still making programs for the express purpose of skinning things. Konfabulator had been bought by Yahoo. Hoverdesk was gone. TGT Soft had closed down. There were still people out there making skins professionally. WinStep continues forward. 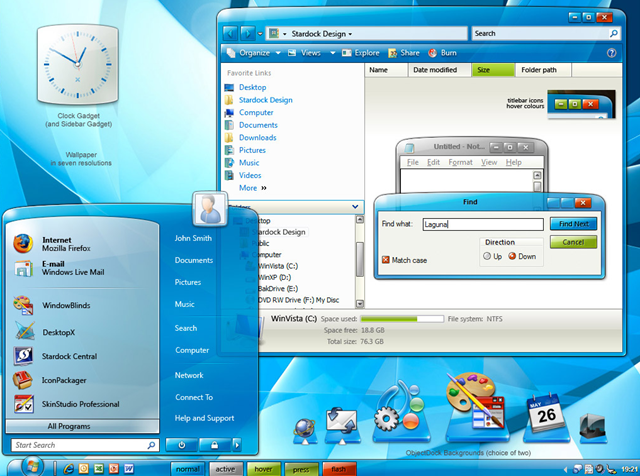 The Skins Factory created Hyperdesk and updated it to support Windows XP, Windows Vista and Windows 7. There was also a GUI Championships in 2008 where China emerged as a leader in skinning. The skinning community had changed drastically. It moved from being a community of skinners to being a community of consumers. The expectations on the quality of the software and quality of the skins had increased to the point that only full time professionals could really produce the king of “assets” that were acceptable to consumers. Part of this was because Windows Vista/7 had become so good on their own that the bar had been raised beyond most casual skinners. Today’s skins require a great deal of time and effort. The software, when it ran, tended to crash often. The skins were simple. But compared to Windows itself, it was all an improvement. By the end of 2009, skinning, which had started out as a niche techie hobby had become a niche consumer hobby. Nothing highlighted this more than the recent updates to DesktopX and ObjectDock where users complained loudly at various aspects of how the beta was handled. They weren’t users anymore. They were customers of a product. The challenge to skinning in this new age remains daunting. Producing high quality software and content in which people expect to pay nothing or virtually nothing for. In a world where a 500 line iPhone game sells for $0.99 and can sell 50,000 copies easily, it becomes harder to produce a 250,0000 line program that people are outraged to pay $20 for – even it if includes professionally created skins and themes. And so that’s how the third age ends. Not with a bang but with a whimper. The goal of the fourth age is to get back to skinning’s roots: Appealing to techies who want to do interesting things to their computer. The new website tilts very much back over to skinners. The home page provides quick access to the top skinners (the age 3 site didn’t even list skin authors on the home page). It’s also designed to be much cleaner and more approachable. There is a definite migration away from commercialization and back into grassroots. While “Master skins” and such are here to stay, there’s a lot less advertising on the site. The subscriptions will soon be changed to only be $19.95 but no longer provide “premium suites” as part of the subscription but instead site specific services and features. The site will increasingly return to the original mission of being a community site for the customization of things. The site’s new design lends itself to a lot more user customization (for subscribers anyway). We’ll talk more about that in the coming weeks. We are pretty excited about the new site and the new era for skinning. Over the coming months, we expect to be able to introduce more and more features that allow skinners and the community to interact and share creations. The Fourth Age is scheduled to begin this month. But you can see a sneak peek at www.wincustomizetest.com. What I wanna know is what WB skin that is, looks awesome, the skin I've been looking for. Where do we go from here? Much of the same, I hope..........but a lot of this depends on Stardock, the artists, the consumer and few other factors. What would I like to see, as a consumer? Desktop X coming back in all its pride and glory. 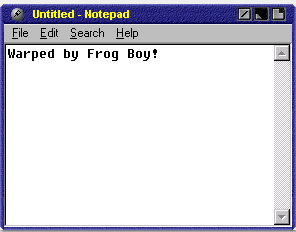 There are so many things this program can do and, to me, it gives that edge to any desktop.......Yeah! love WB, Iconpackager, ObjectDock, etc.........but give me a few matching items and other bits and pieces from Desktop X and wow! now you're talking. One particular program which is been getting a lot of skinners and consumers attention is Rainmeter.............There is no doubt about it but in the past year or so its popularity has dramatically increased especially on the consumer side...........Whilst you really can't compare, in my uneducated opinion, Desktop X is a far superior and can do far more many things........but the bottom line is Rainmeter, for most people, adds that edge. For me, I'd love to see Desktop X take that edge. The introduction of media center changed the game as it was and still is not readily skinable!However when a customer is browsing the internet from thier couch nobody wanted to see luna. Vista and 7 changed that some OS looked better MediaCenter looked better but still the same thing that is on the office PC they use everyday.To an end consumer they did not even know you could change this at all! My compant has now branched into LED full video signs and I am curently working on reskining the progrm for the sign interface for the manufactor as visual impact is key in every area to make a consumer feel they got what they paid for.Brad I wanted to talk to you about this any way as DirectSkin may be an option for them! I also know that with the OS changes it has become increasingly hard to skin all elements of an OS but in the end we as people want it our way always creating a need for customization.I am excited to see what is to come! Disappointed to hear that Premium Skins as part of a subscription will be discontinued. I guess it makes sense, but it's an easier purchase for me if I don't have to see the incremental cost of each skin. I'd rather order the "Happy Family Dinner A" rather than pick and choose from the chinese menu. I see the new WC subscription rates are showing on the beta site. Can I just go ahead and renew there now? That arrangement is just fine with me. Thanks. The subscriptions will soon be changed to only be $19.95 but no longer provide “premium suites” as part of the subscription but instead site specific services and features. I suppose that makes sense because we were promised 12 premium skins a year as part of our subscription, and then almost half a year went by before we saw any. Just couldn't deliver on that one. 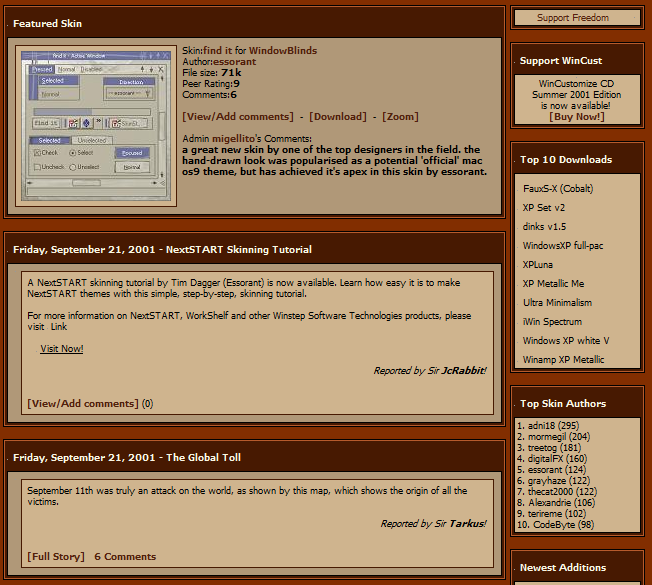 With the posting of this thread I was anticipating the eminent release of the new WinCustomize site. I guess it was just another little tease by Brad. Oh well, I have nothing else to do so I guess I will just be patient like the rest of you folks. Wait a minute, I can watch Baseball. Personally..what I would like to see is actual skinners get more exposure and recognition. When I see the top "skinners" list I see people there who never skinned anything and have even expressed no desire to...yet they are listed as skinners. And when you spent hours...year after year creating things for people to use only to see people who never skinned a pixel move ahead of you as a "top skinner"...it just kind of doesn't seem worth it to bother sometimes.. I hope this changes in the future. And yeah...I'm gonna beat a dead horse here again...I would love to see an gallery for just OD backgrounds/docklets...and stick the misc png/icons in the Misc Icons gallery. This is one reason I don't skin as much as I'd like to for OD. I have one gallery to upload to where as they have 3...Misc Icons...ObjectDock and IconPackager. And I say IconPackager because I've seen instances where someone would upload icon themes that should/could have been made into a package rather than uploading 20/30 pngs/icons one at a time. But even having said all that...as long as WC is here I'm sure people will still be skinning...I know I will be. And yeah...I'm gonna beat a dead horse here again...I would love to see an gallery for just OD backgrounds/docklets...and stick the misc png/icons in the Misc Icons gallery. This is one reason I don't skin as much as I'd like to for OD. I have one gallery top upload to where as they have 3...isc Icons...ObjectDock and IconPackager. And I say IconPackager because I've seen instances where someone would upload icon themes that should/could have been made into a package rather than uploading 20/30 pngs/icons one at a time. Hell I don't even browse the OD gallery for dock bg's anymore, I just go straight to the Giz-master. I just go straight to the Giz-master. Thanks guys! Nice to know I still have fans! I totally agree with You Steve! Now that sounds like a great system for finding dock backgrounds! This all has to do with the economic recession. More than ever, people are looking to save money. $20 for an app that only skins stuff (no matter how much code is in it) is seemed as a wasteful way of spending money to the average person. Plus, the skins I see today just don't have the same "glow" I saw as those when I first got into skinning in 2007. Back then, many ideas were just being created. Vista was just released, which gave skinning a boost since everyone was trying to mimic Vista on XP. Today, I see many "stale" concepts. Most of the ideas are remakes of old skins. And the ones that are original are still stale because they resemble Vista somewhat, when everyone is thinking Windows 7. Skinning is on it's final leg. Stardock is trying to milk all the money out of it. But it's quickly becoming a lost cause. Let's face it. Unless Microsoft comes up with another crappy UI, skinning is finished. It's been a great run! Oh really? So...I guess we won't be seeing any skins from you then? I doubt skinning will be dead any time soon...to much fun involved. At least for those of us that actually skin. Aero is a pretty crappy UI. Functional yes, attractive... not in my book. 20 bucks ain't that much even in a recession for something that one can do as a hobby, at home, all year long, rain or shine. As far as Win 7 goes, yeah, people are pretty happy with the UI... some people anyway.. many can't stand it and the only reason many skins are Aero similar these days is because WB has yet to be developed to override some of its limitations. Hopefully at some point we can start skinning 'over' the windows UI. That said, even if WB went no further than it did at the current time, there are still a million more designs in my head that stray far from Aero. Lets face it, skinning is far from finished. People will always want to customize their surroundings. I believe skinning could be HUGE with more exposure, advertising, TV, infomercials etc. People will always want to customize their surroundings. Which leads me personally to the question what happened to all the great skinners Stardock hired... Tied in chains in the dark dungeons of Stardock HQ damned to do american-interest-only university sports skins 'til the end of their miserable lives ? From what i've seen, the new site looks awesome! Will users be allowed to skin the site or at least their homepage? After all, WinCustomize is all about personalization. Just a suggestion.